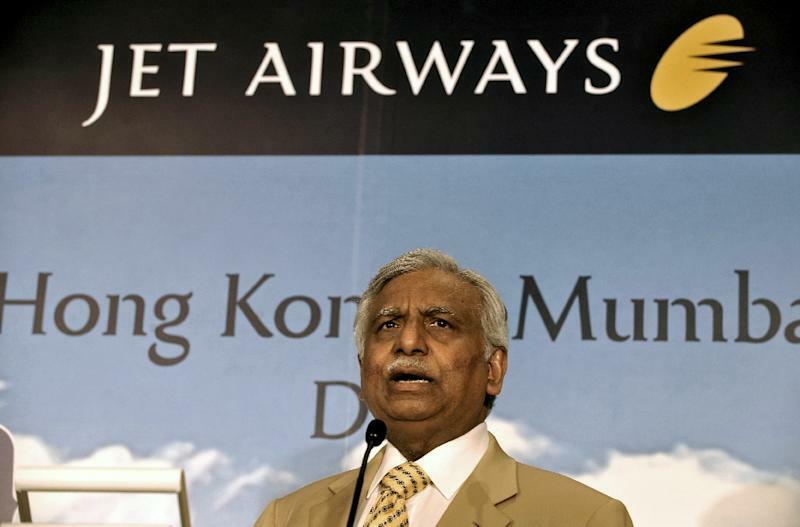 India's troubled Jet Airways said Monday that founder Naresh Goyal has stepped down as chairman and left the company board as part of a rescue plan. Jet, which has debts of more than $1 billion, said in a statement that its creditors would inject up to $218 million of "immediate funding support" into the airline. The Mumbai-based carrier, which until recently was India's second biggest airline, has been forced to ground three-quarters of its 119-aircraft fleet. This is because it was unable to pay aircraft lessors. Its pilots have also complained of delays in receiving their salaries. Thousands of customers have been stranded in recent weeks after their flights were in some cases abruptly cancelled. Jet employs more than 20,000 people. India's air passenger numbers have rocketed six-fold over the past decade with its middle class taking advantage of better connectivity and cheaper flights. But like other carriers Jet has been badly hit by fluctuating global crude prices and a weak rupee, as well as fierce competition from budget rivals. Alarm bells for Jet first rang in August when it failed to report its quarterly earnings or pay its staff, including pilots, on time. It later reported a loss of $85 million.